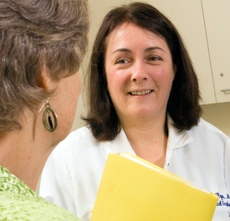 Emory oncologist Ruth O’Regan, MD, is leading a trial testing whether Afinitor can reverse resistance to Herceptin in metastatic HER2-positive breast cancer patients. As part of the trial, some patients been receiving a drug called Afinitor (everolimus) along with chemotherapy and Herceptin (trastuzumab). About 25 percent to 30 percent of breast cancers are HER2 -positive, which means they test positive for a protein called human epidermal growth factor receptor-2 (HER2). This protein promotes the growth of cancer cells, making HER2 -positive breast cancers more aggressive than other types. They also tend to be less responsive to hormone treatment. That’s the bad news. The good news is that this type of cancer responds extremely well to Herceptin. Herceptin specifically targets HER2 cells, killing them while sparing healthy cells, so side effects are minimal. 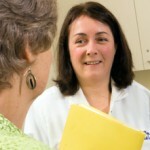 Its effectiveness has made Herceptin the gold standard of treatment for HER2 -positive breast cancer.